The leaders of the Hirak protest movement which rocked Morocco in 2016 and 2017 on Friday had their sentences upheld by a court of appeal. In all, 42 activists who were serving prison terms of up to 20 years had their sentences confirmed by the court in the western city of Casablanca. The ruling was met with cries from relatives of "long live the people" and "corrupt state". 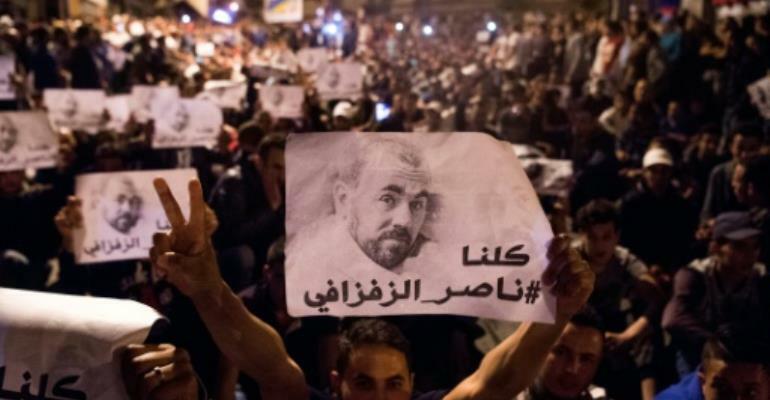 The Al-Hirak al-Shaabi, or "Popular Movement", protests took hold of the country's northern Rif region in October 2016. The social unrest was sparked by the death of a fisherman and spiralled into a wave of demonstrations demanding more development in the neglected region and railing against corruption and unemployment. Authorities accused the activists, who were first sentenced in June last year, of having separatist aims. The movement's leader Nasser Zefzafi and three others received sentences of 20 years for threatening the security of the state. Other sentences confirmed on appeal range from one to 15 years.